Because in Columbus we don’t tolerate mediocre burgers, get that weak sauce out of here. Until now Columbus, we’ve been playing with kid gloves on. Dive bars and grease-spoons, yeah, that stuff’s cute and all, but let’s get down to the nitty-gritty. I’m talking a no hold bar, unfiltered, slugfest for the DOPEST BURGER IN THE CITY. We’re going to rank the best sammies Columbus has to offer from lowest to highest in a grilled cage match to the death. I’m not going to lie, passions are gonna run high. Chances are you’re going to lose a lot of friends disagreeing over ground beef, but hey, this is America. If we can’t wage a just and good war over the merits of a food product then what’s the point of all that freedom? So buckle up buttercup. Get your pistols and condiments at the ready, it’s time for a good old-fashioned clash in the kitchen. THERE WAS A FIRE FIIIIIIGHT!!!! Look, I’m not taking anything from the Rossi burger. It’s for sure good, but it’s so basic it’s basically rocking a pair of Ugg Boots and Yoga pants (shots fired, send all units). 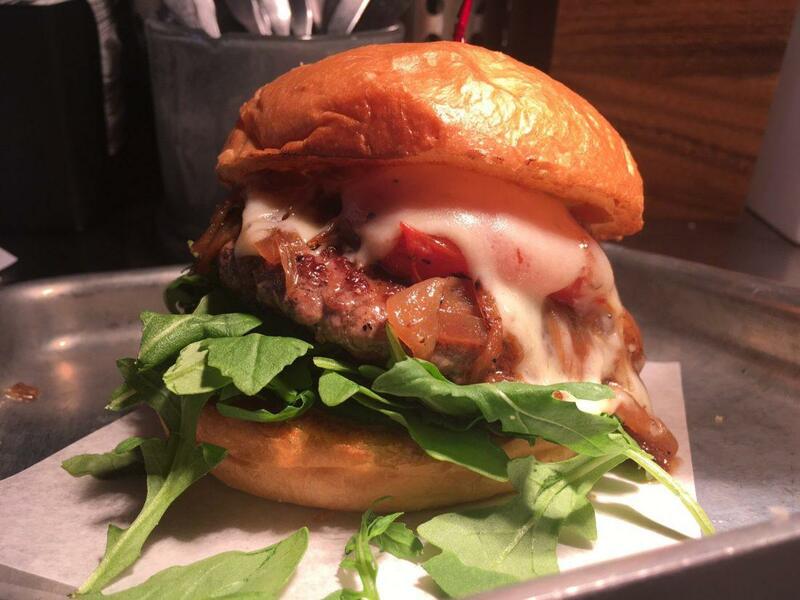 If you’re a burger Puritan and you’re afraid of change, this burger has everything you’re looking for. Just, you know, maybe expand your hobbies outside of pumpkin spiced lattes and candy crush. We did a review on Johnnie’s a while back and we loved it. It’s kind of a divey place from the other side of the tracks (no, but literally, there are railroad tracks and you have to love that). While it’s definitely one of those hidden gems, squirreled away in the city, it’s not exactly going to crack the top 5 on the list. Johnnie’s is that one thing you’re super into but you don’t want your friends to know about like Kiss From a Rose by Seal and Korean dramas and- oh my god, I should stop talking. Ohhh yeeeeaaah, I got your attention now, didn’t I? Some of you are straight up perturbed now, huh? Sorry, not sorry. While the Thurmanator may be a legendary beast of mythic proportions I still gotta only give it number eight. Is it delicious? Sure. Is it an impressive sight to behold? I’ll give you that. But what is this thing trying to make up for? Huh? You ever ask yourself that? 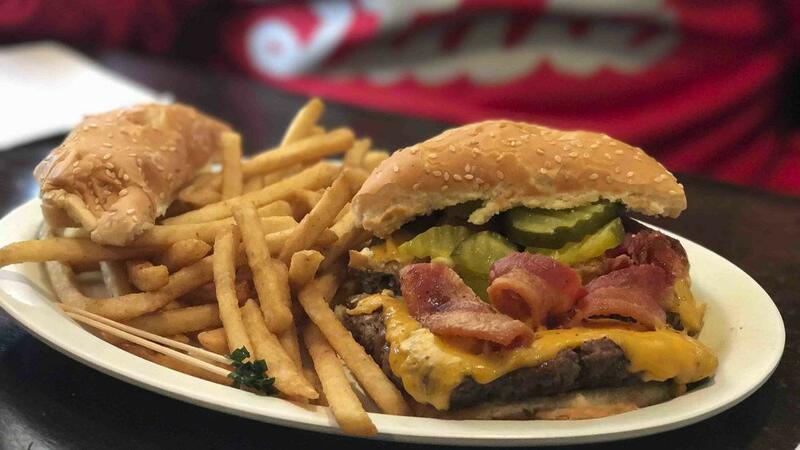 Yeah, it could probably win every competition at the Arnold Classic, but when it comes to the best of the best burgers I gotta take points because of obvious performance enhancers. Sorry dude, but I never forgave you for killing off Prince Oberyn. A half pound burger encased in cracked black pepper? What’s not to like? 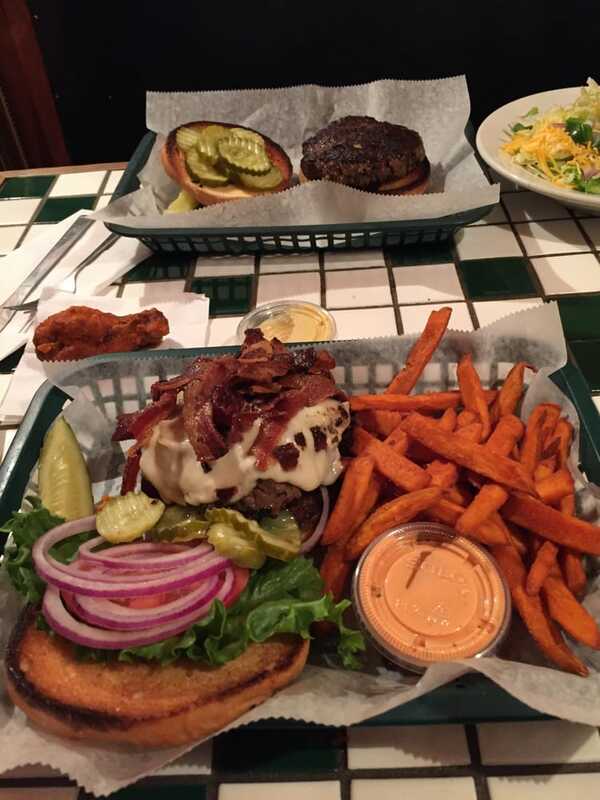 O’Reilly’s Black Pepper Burger is a long time staple in the Columbus area. So much so, it practically has its own cult following. You don’t have to rock the red Converses to enjoy the sammie though, this burger’s enjoyable for even the most skeptic of fans. This is another one of those that aren’t too well known but you just have to love their theme. All the burgers are named after famous pugilists and there are boxing paraphernalia decorating the walls. 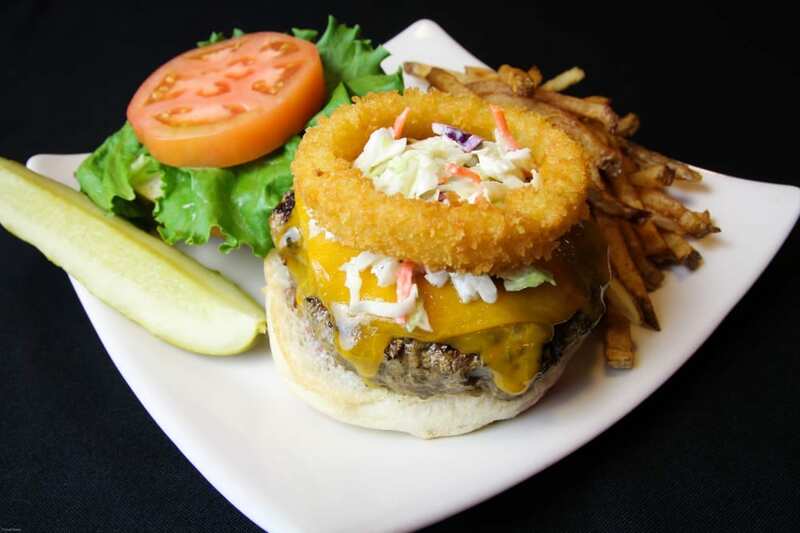 The Ali Burger comes ready to throw down with a 3/4 pound burger, coleslaw, sharp cheddar, and topped with a fried onion ring. Other burgers can bring the fight but they’re not going to be able to lay a hand on the Ali, it’s just “too pretty”! Okay, so this one doesn’t confine itself to your burger stereotypes. It trades the traditional beef for ground duck and it doesn’t make any apologies for it. It takes its burger heresy a step further by adding pepper jack, pickled jalapeno, red onions, spinach, tomatoes, habanero mayo, all on a brioche bun. It breaks all the rules because it believes in nothing. Embrace its nihilistic cuisine, you know you want to. Pat and Gracie’s pays homage to a sordid local history, what better way to do that than with this outrageous masterpiece of a hamburger. 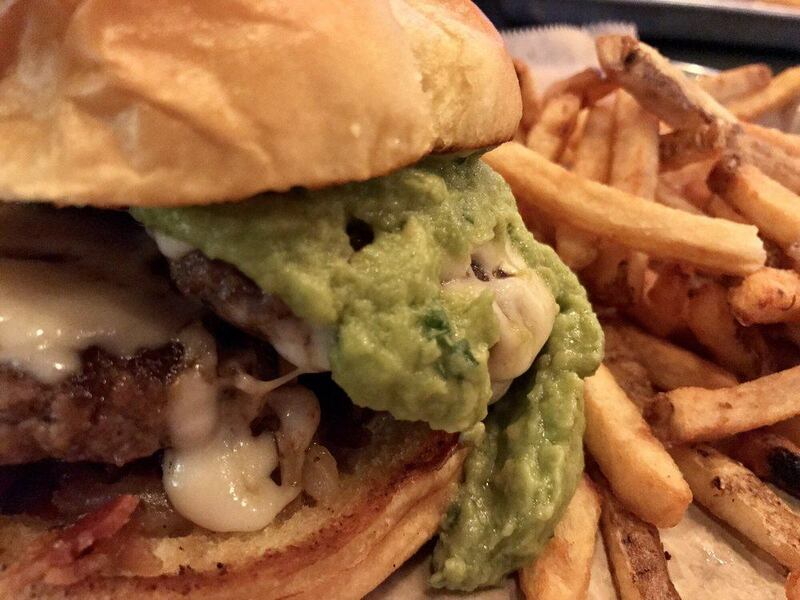 I’m talking two smashed patties topped with Monterey jack cheese, avocado, caramelized onions, and house-made chimichurri sauce. If this doesn’t get your mouth watering you’re officially dead on the inside. Now we’re stepping into top three material, where we separate the average schmucks from the truly great. 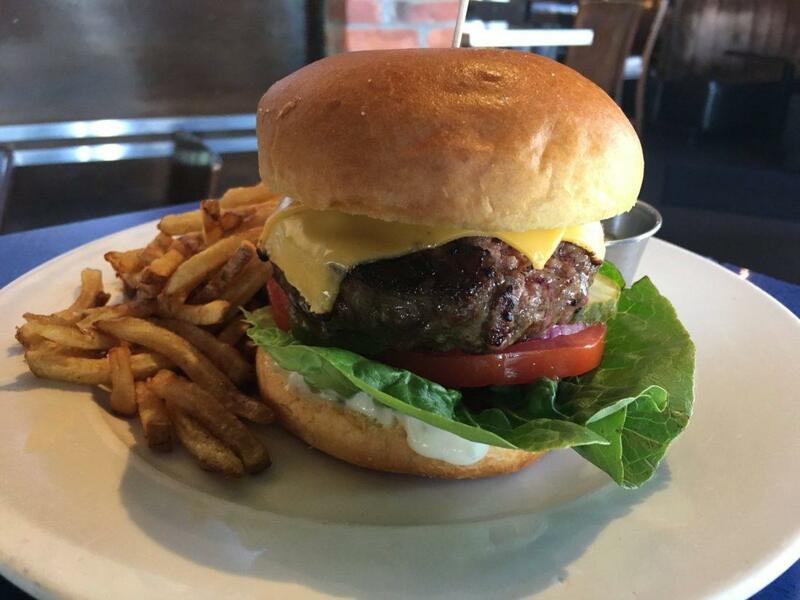 Starting right into that is the Tavern Burger from Rockmill. 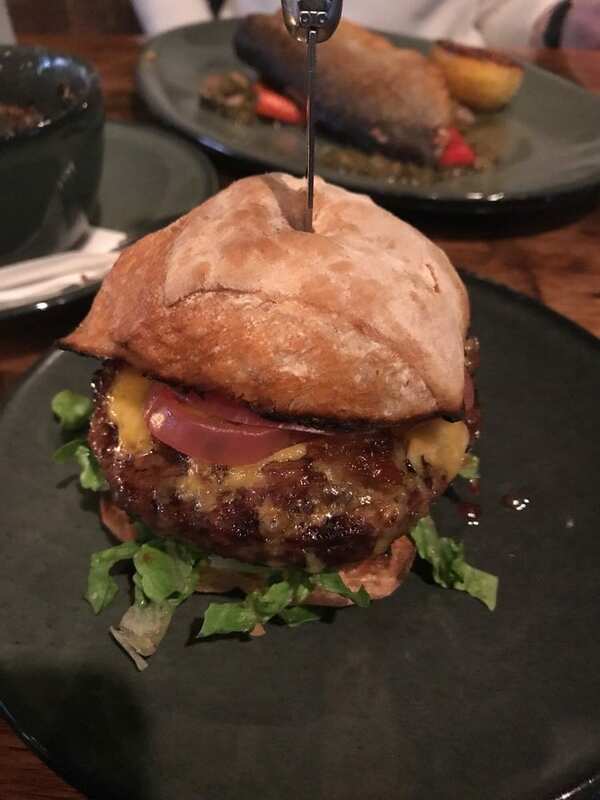 It comes topped with bacon jam, pickled onion, extra sharp Tillamook cheddar, ciabatta, and dijannaise. Comparing other burgers to this guy is like comparing a Big Buford to a Rembrandt (even though its fast-food goodness will always have a place in my heart). The Grandview Cafe is newly reopened and ready to blow the competition out of the water. 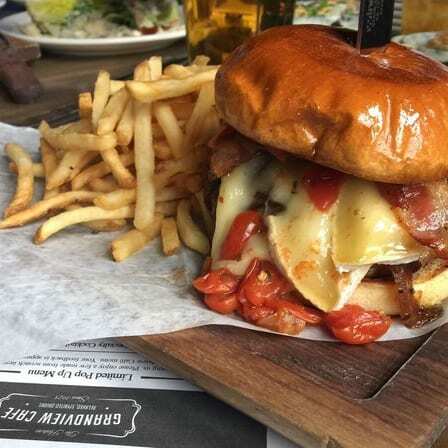 The GC Burger comes in at second place with its dry-aged beef, bourbon caramelized onion, smoked bacon, tomato jam, and white cheddar, all on a pretzel roll. 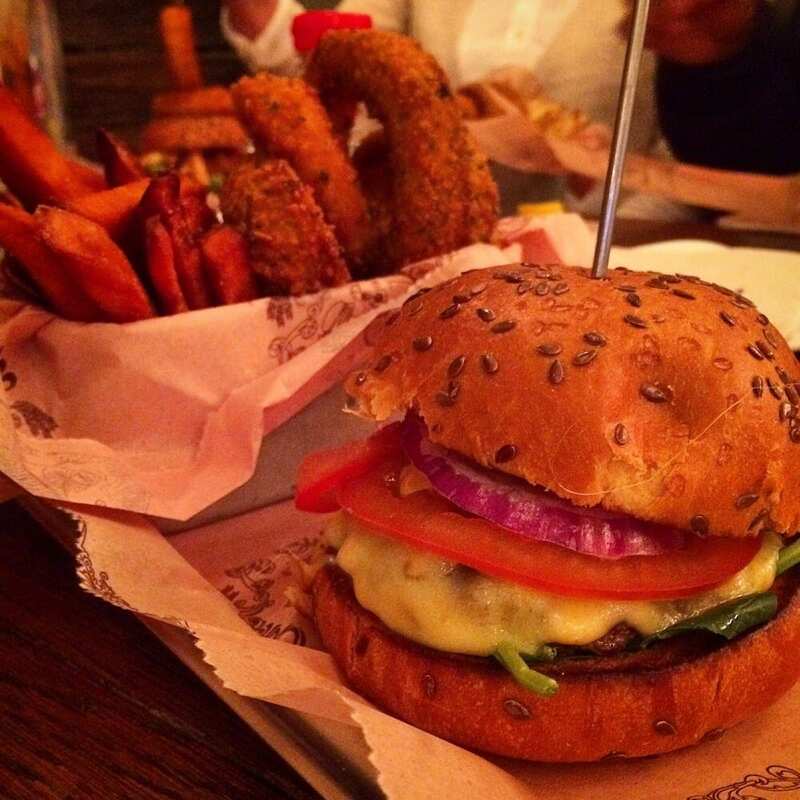 Even though it’s the new kid on the block, this burger struts in stomping on everyone’s Pumas. Don’t be fooled by the cafe’s fancy, chic look, this burger is like eating a DMX song after winning a cage match against an armed bear. You’re going to feel pretty good about yourself. You might even pound a chest or two afterward. Philco’s Phillip Burger squeezes itself into first place and it does so for the very opposite reasons as the GC Burger. While the GC Burger was an outrageous and beautiful animal, the Phillip Burger shows restraint. On the surface, it’s not doing anything showy or flashy, but this thing packs a lot of flavor. It’s a 6-ounce patty that comes equipped with oven-dried tomatoes, arugula, grilled onions, spicy pickle, mayo, cheddar, all on challah bread. It’s elegant. It’s tasteful. It’s Neo at the end of the Matrix kung fu-ing the crap out of Agent Smith without even trying. Don’t take my word for it though, go on into Philco’s and try it for yourself. Just be ready for this burger to take out your taste buds like a finely tuned Jet Li in his prime.